Our Diabetic Life: The bloody truth. Just to be clear, I'm starting this post assuming that every one of you disposes of blood in a super sanitary, super proper manner. But behind closed doors, or rather...within the city limits of friendly territory, we all know that there are a variety of ways to dispose of that extra glop on the finger after testing. The bloods gotta go somewhere. As those of us with Diabetic Lives can attest, blood loses its scariness-factor pretty fast after diagnosis. We are numbed to the fact that these days, blood is supposed to be completely unsanitary. When it is your own blood, or the blood of someone you created...it's really not that big of a deal. Blood means life: end of story. My boys are as different as the day is long. They all use variety of methods to dispose of the extra blood on their finger, and none of them apologize for it. Their blood. Their solutions. The vampire's solution to the blood is to simply lick the blood off the finger. It is the fastest way of disposal, and doesn't require any pre-planning whatsoever. There is no trace left behind, and the finger is left essentially looking clean. It is a fast and a very legit way to deal with this. I may or may not have one or two of these running around my house. 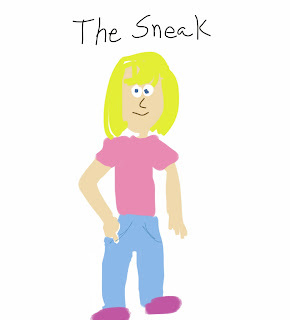 The sneak will wipe the blood someplace hidden, often using the inside of his or her pocket. It isn't left out in the open and is a much more discreet way to dispose of the glop. I mean, everyone puts their hands in their pockets, right? Props go out for ingenuity...who looks at the inside of pants pockets for stains anyway? 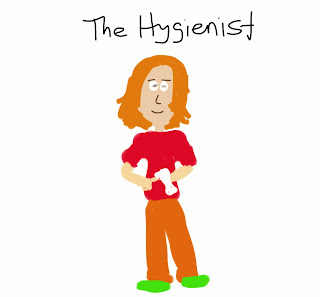 The hygienist uses alcohol swabs, or Kleenex, or both, to dispose of the blood, and promptly disposes the aforementioned cloths in the garbage. I assume this is the way we were all taught once discharged from the hospital. I'm sure Ryan and I used to do things this way...for like the first week after our first diagnosis anyway. 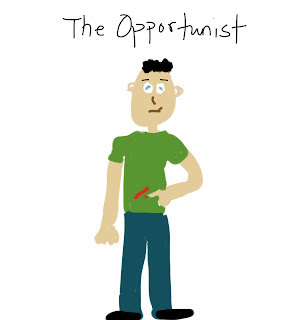 The opportunist is probably the least accepted by society. The opportunist simply wipes the blood on what is convenient at the time. Maybe their shirt, or their mother's shirt, or the sheets on the bed. The table maybe? Nothing is off limits. As long as the blood is off their finger, and on something else...their job is done. My boys were all opportunists at one point. As they have grown, they have moved onto other more discreet methods. 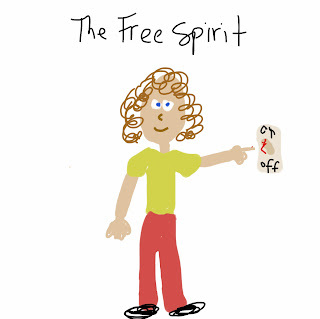 A close relative to the opportunist, the free spirit doesn't give a damn about the glob of blood. 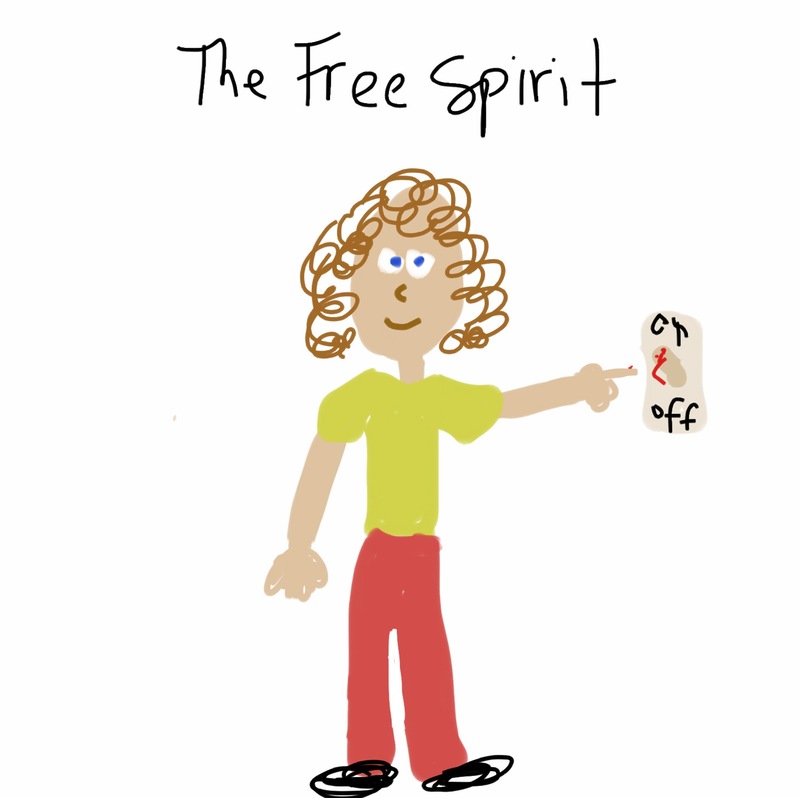 The free spirit simply lets it sit on the finger until it eventually disappears onto something else while going about their day as normal. Blood found on a light switch? Likely a free spirit was happening by. The magician simply rubs their fingers together until the blood disappears. It works. And I can vouch for the fact that it is certainly magical. Where does the blood go? It seriously disappears in thin air. It seems every situation calls for its own disposal policy. My boys can easily switch from one method of disposal to another without missing a beat. Even though I feel like I've covered all the bases, I can't help but wonder...what am I missing? And if I am missing something...if there is another way...do I really want to know about it? Or is it best I be left in the dark as the rest of the theoretical "muggle-like" society? I'm going to stew on that while I wipe down all our doorknobs. I may or may not be a magician...and Isaac would like to be an opportunist on my shirts if allowed, but thank goodness my magical ways are faster than his! TJ wipes his on the inside band of his pants, funny, huh?! I use the side of the lancet(yes i change mine EVERY time) or the side of the strip--if i didn't get enough last time and had to redo. Lex is a vampire, I am a 'proxy' magician and my husband a 'proxy' free spirit( evident in the smears and blobs on Lex's sheet, duvet, pillow.....)!! I stuff makeup remover cotton pads in Andrew's testing kit. One day my friend's daughter cut herself and needed a band-aid. Proudly, I pulled out the testing kit and happily handed over a makeup remover cotton pad feeling like I just saved the day. Moments later, I looked at the pad and there were dried up blood patches all over the back of it. YIKES!!!!!! Thankfully we were close enough friends to chuckle over it. My 2 sons are both vampires and meter wipers. Once time I took a lysol wipe to the mesh of the meter case. GROSS it was not pretty. Does this mean you'll never shake my hand? eek. Love this! I'm mostly a vampire but can be a magician if people (read: non-PWD) are actually watching. We used to keep a folded up tissue inside my daughter's case and she'd dab the blood on there, when it got full we'd re-fold it to get a clean side, LOL. Now, she just wipes it on the inside of her meter case. At night when I check her, I usually end up doing the magician or wiping it on the sleeve of whatever t-shirt I'm wearing. My little Jrod is a complete vampire. He thinks that it is the funniest thing when others gross out on his finger sucking. He also, loves to chew on the test strip. I'm always a vampire. It's actually a habit I'm not aware of doing until I see the grossed out looks from whomever is unlucky enough to witness. I'm ok with it. I usually reply "ah...lunch" afterwards. Love the drawings and the chuckles! 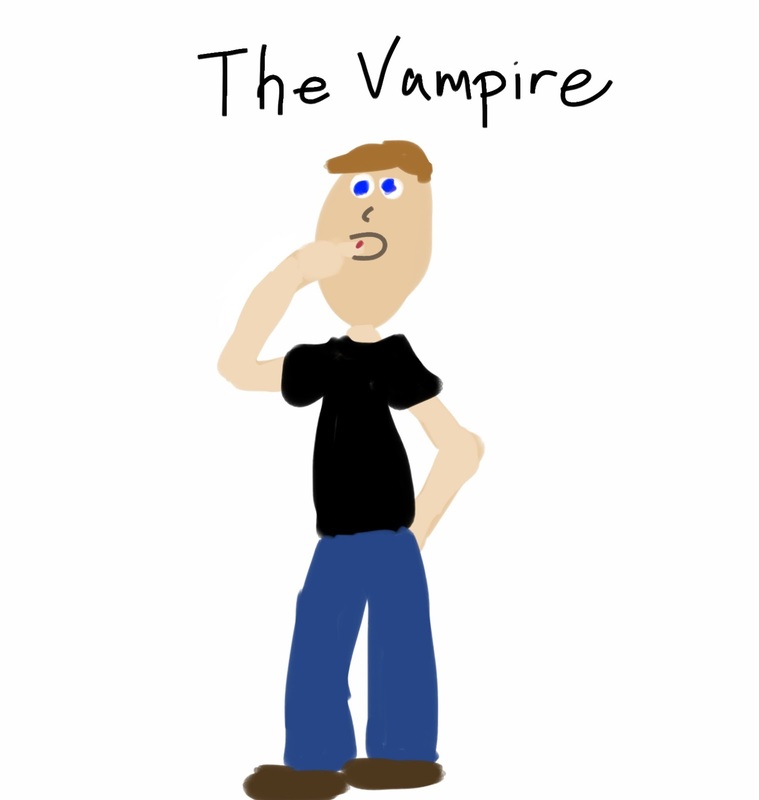 My nine year old is a vampire all the way! You wouldn't believe how freeing this is to see it's all normal. This post had me laughing. My son is a vampire by day and Im an opportunist by night. At 2am I could care less what I wipe his finger on LOL! Vampire. I call it the stick & lick. We're vampires here. If it came from my body or a body that I gave birth to, I don't see the harm. Lily has fully embraced my philosophy on that. Freaks her school nurse out every time, which I think is hilarious! Haha! Love it! And yeah, I'm in the vampire camp myself. 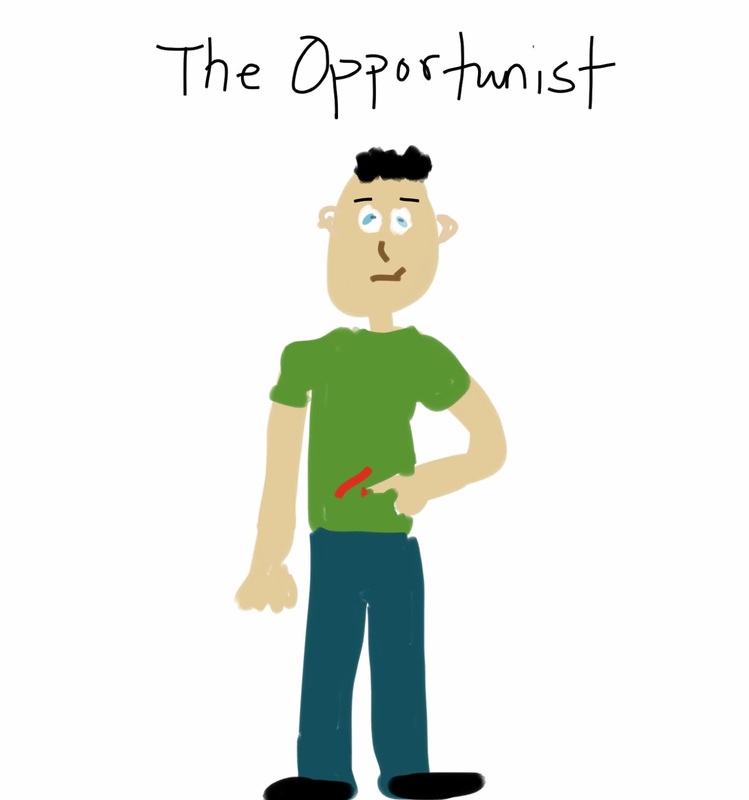 If I'm wearing black, I'm an opportunist. 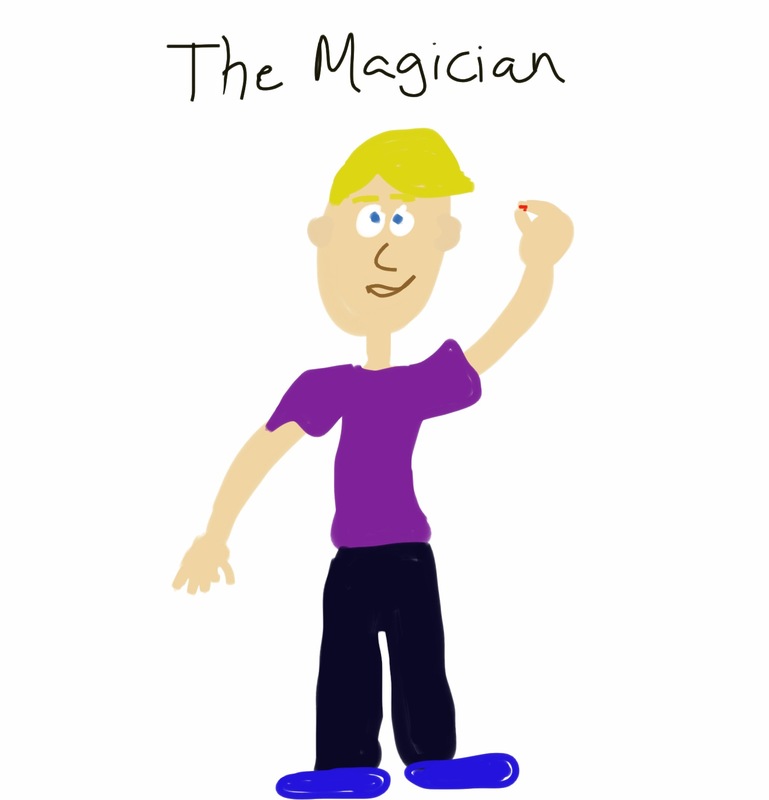 Otherwise, I'm a magician. At some point, I used to use the inside of my meter case. I also used to keep a wadded up, bloody tissue in there, but I gave that up a long time ago. I had a friend who used to complain about it Every. Single. Time I tested. My father keeps a bloody tissue next to his meter. I'll occasionally swap it out, and he never notices! I've had T1D for 13 years and I'm still the hygienist! Haha... does this mean I'm not legit? Great post! Definitely a vampire over here. My mom teases me because I've always loved vampire movies/books and my ingestion of blood takes it to a new level. I have a band-ade kid here. Every finger poke has to get a band-ade on it. Because of the annoying people at school, Bean has a paper towel strip in her test kit to put the excess on. However, when at home, that is all but forgotten and it's where ever happens to end up! Years ago, as a young type 1 diabetic child, I would wipe the left over blood along the insides of the black blood glucose cases. Eventually they would turn from back to a dark reddish color--so attractive! My son uses a cotton ball. Over and over and over and over again. And I thought I was just being a bad mom when someone posted about these cute little wipes that go on the inside of the case, because my son uses anything and everything, with the occasional correct stuff. Thanks for sharing!